You can now donate online! 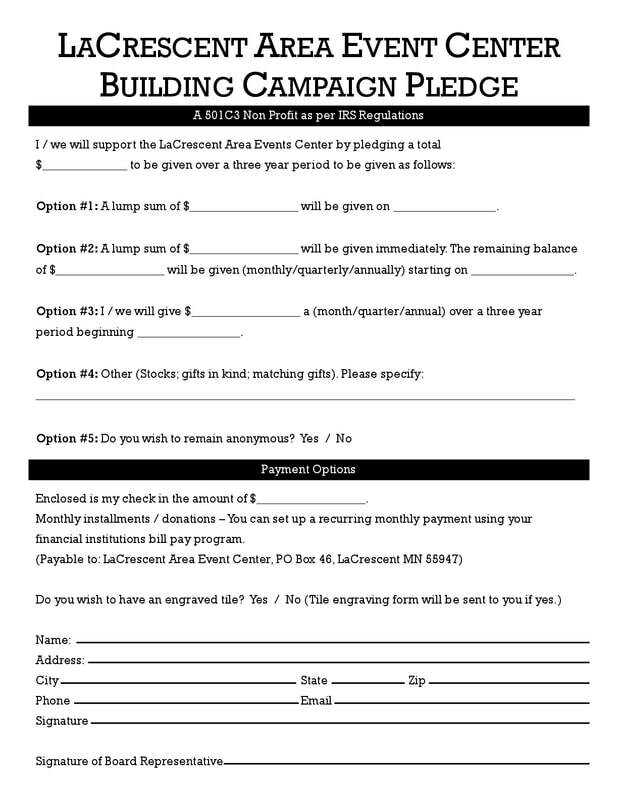 With the below form you can make a one-time donation or set up reoccurring monthly donations. 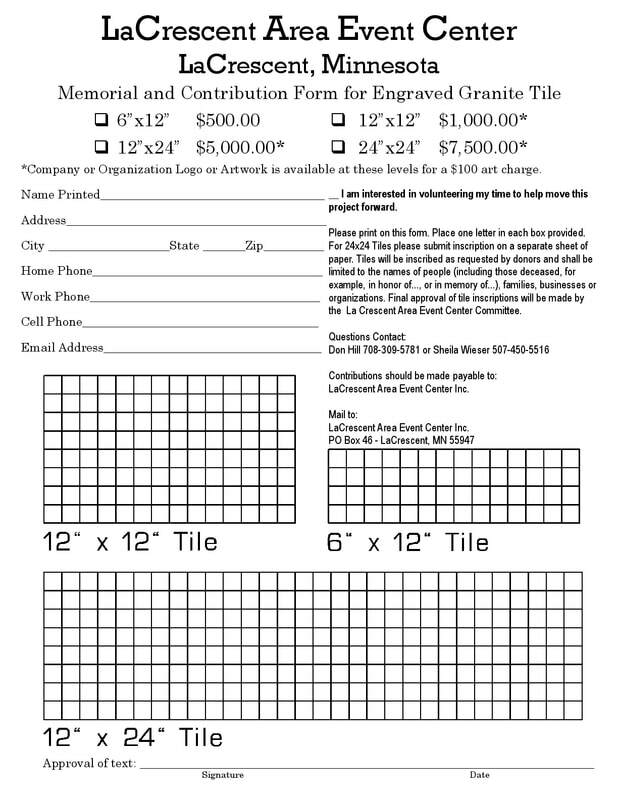 We are offering engraved granite tiles as a way to show your support for the project or to memorialize someone special! We hope you will consider making a donation. The center will be a venue the whole community can share!